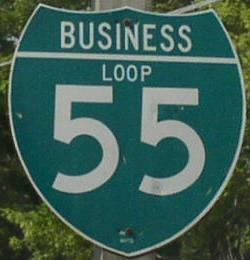 Business Loop Interstate 55 is a north-south highway in Jefferson County. This runs between M.P. 174 at M.P. 178 on Interstate 55. From M.P. 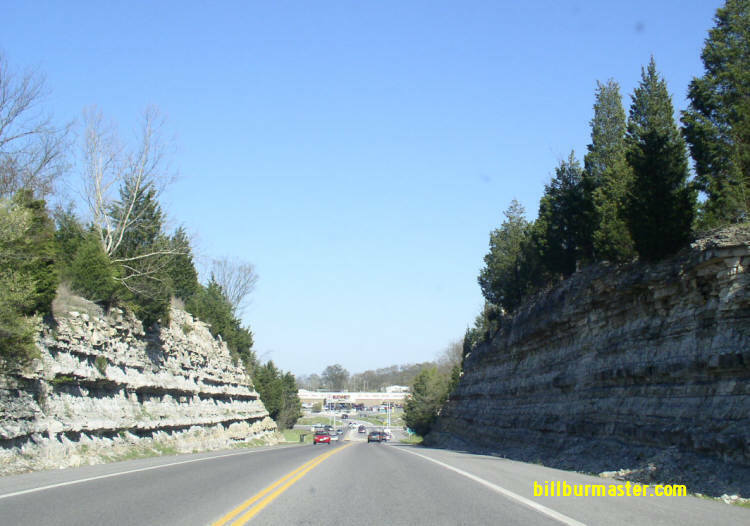 174 north it is labeled well through Crystal City and Festus. After these towns it not labeled. 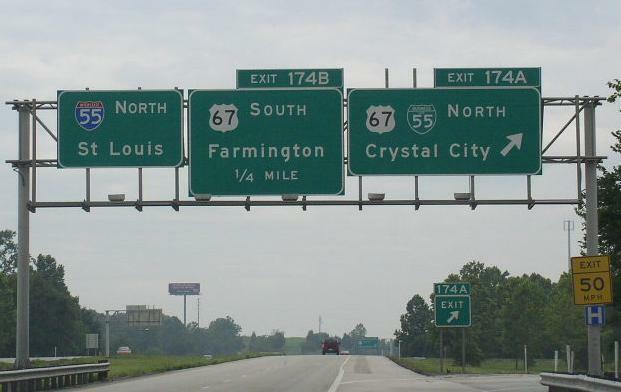 BUSN Loop I-55 passes through the following towns in Jefferson County. BUSN Loop I-55 is multi-plexed in Jefferson County. U.S. Rt. 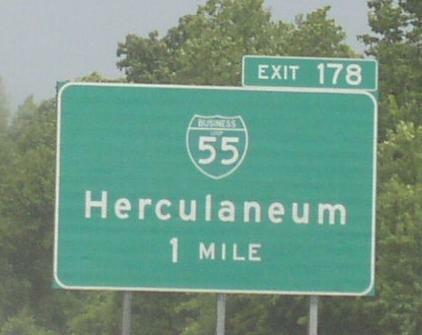 61, from Crystal City to Herculaneum. U.S. Rt. 67, from Crystal City to Herculaneum. 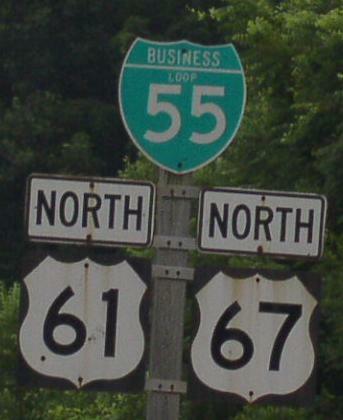 BUSN Loop I-55 intersects the following highways in Jefferson County. 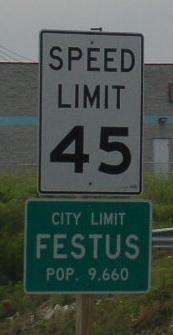 Interstate 55, at Crystal City. U.S. Rt. 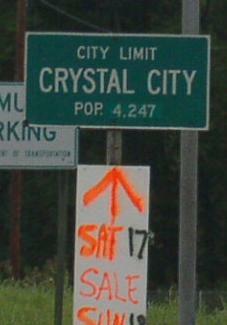 67, at Crystal City. U.S. Rt. 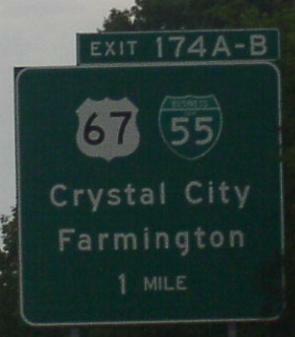 61, at Crystal City. 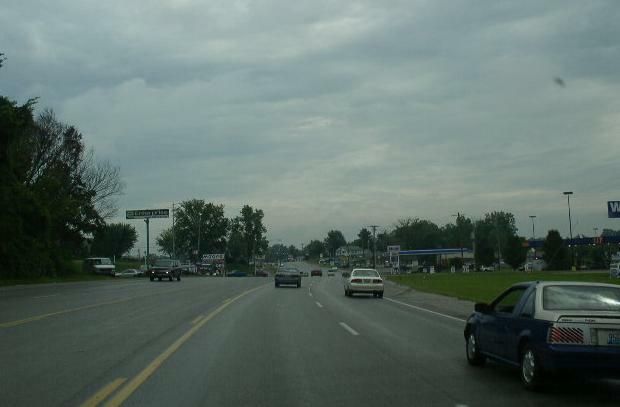 Missouri Secondary State Route A, at Festus. U.S. Rt. 61, near Herculaneum. U.S. Rt. 67, near Herculaneum. NB I-55 at BUSN Loop I-55/U.S. Rt. 67. NB BUSN Loop I-55; U.S. Rt. 61/67. 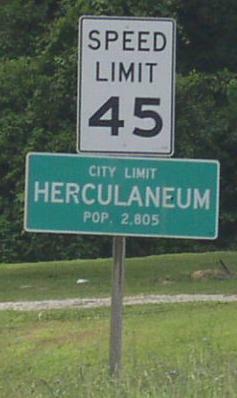 SB BUSN Loop I-55 in Herculaneum.